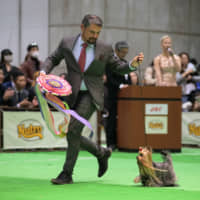 OSAKA - Retired New York Yankees star Derek Jeter took the sumo world by storm on Thursday, when he took in the action at the Spring Grand Sumo Tournament iand met some of the wrestlers afterward. 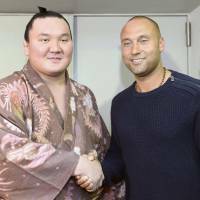 In addition to posing with Mongolian yokozuna Hakuho, who has won more tournaments than any other wrestler in history, Jeter shook hands with several other of Japan’s big men, some of whom recognized the former Yankees star. “He was an amazing athlete. 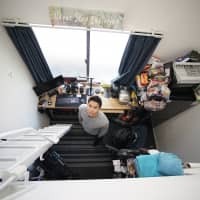 He’s pretty tall, isn’t he?” Japan Sumo Association Chairman Kitanoumi said of Jeter. 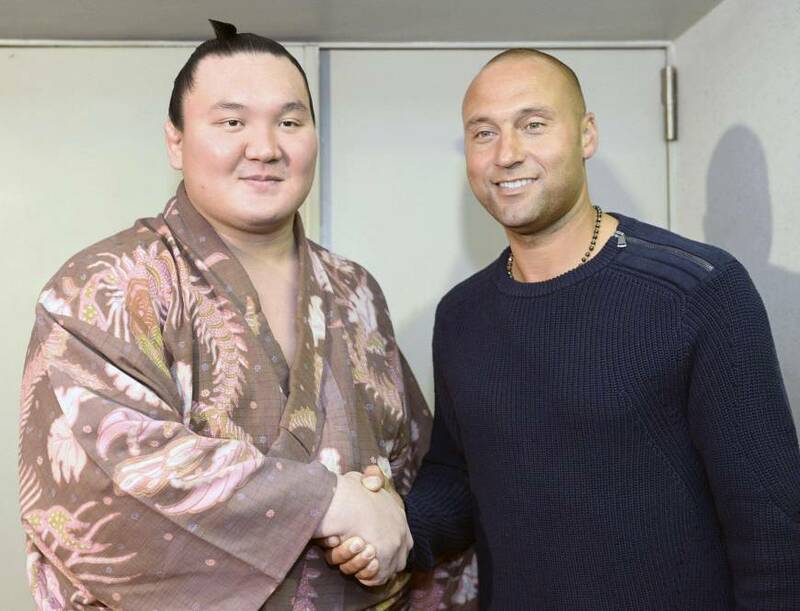 Chiyomaru, a 16th-ranked maegashira wrestler, shook Jeter’s hand without knowing who he was. Top-ranked maegashira Tochiozan recognized Jeter as a ballplayer but was fuzzy on the details. “He was a catcher or something like that, wasn’t he?” Tochiozan asked with a straight face.